I’m one lucky lady! I have not just one, but three loves of my life! Don’t worry, I’m not stepping out on the hubs. Quite the opposite in fact! My favorite place to be is right here at home with the hubs, my little lady, and the little mister. Never did I imagine I would have enough room in my heart to love all three so much. So rumor has it that Valentine’s Day is creeping up on us and after all of the hub-bub of the holidays, I have to admit that I’m not one to go crazy when it comes to decorating for Valentine’s Day but I do try to find a few simple ways to make it special each year for the ones I love. 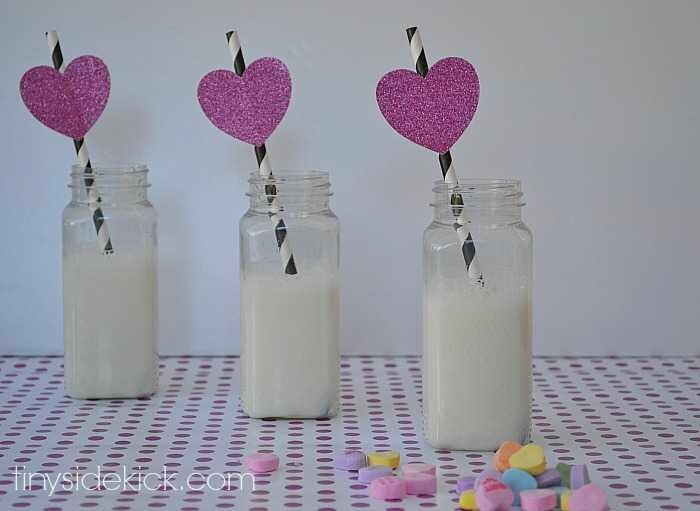 This year I plan to make my loves a special Valentine’s Day breakfast and thought I’d throw in a little handmade detail to make it a little extra special and these (really easy) glitter heart paper straws are going to be perfect for sipping milk at breakfast or would make a perfect addition to cookies and milk for a simple Valentine’s Day dessert! This post contains affiliate links for your convenience. Click here to read my full disclosure. The supplies for this are super simple! 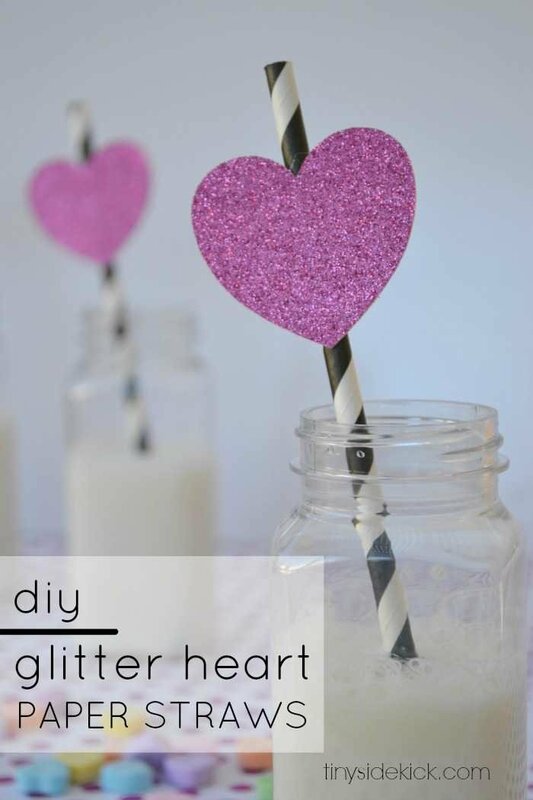 You’ll need a sheet of glitter cardstock or scrapbook paper, paper straws (Walmart and Target both carry these now), and something to cut out your hearts with. I used my new Silhouette Cameo (…squeeeeel!) 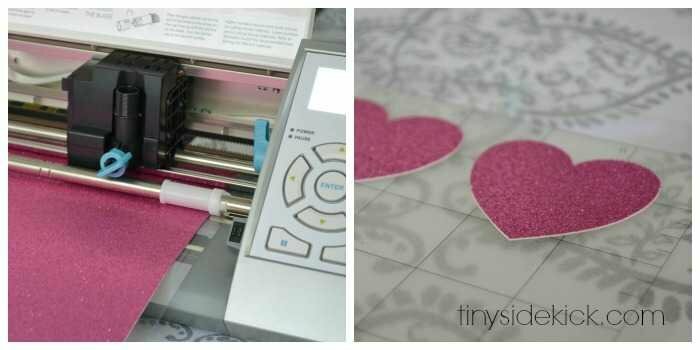 but you could also get a heart shaped paper punch or even make a quick template and cut them out by hand. I found a heart on a google image search and traced it in Silhouette studio to make my heart shaped cut file. Then I adjusted it to 2 inches wide and copied and pasted it to make a row of hearts for the Silhouette to cut out. 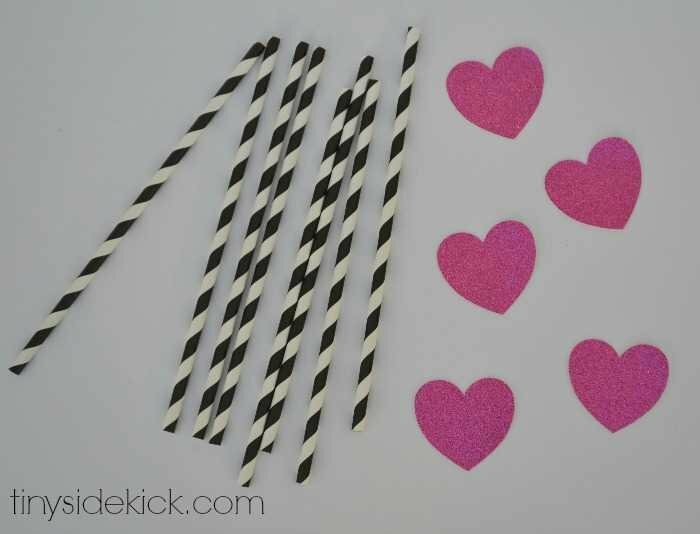 Once the hearts were cut out, I gathered up some paper straws and attached them using a small line of hot glue. You will want to be sure that there is enough room for someone to drink but high enough on the straw so they don’t get wet. Once they are dry they are ready for some sipping! My kids are going to love having a special Valentine’s Day straw for Valentine’s morning! Do you do anything to make Valentine’s Day a little bit special? You’ve inspired me. I, too, will make these for the kiddos this Valentine’s Day! Thanks!!! Super cute Corey! I love glittery anything and those straws are adorable! Thanks for sharing such a fun and easy project for the holiday of love! PINNED! These would be great for a playdate or even a Valentine party. Yay! Silhouette project! Super cute, Corey! They are going to love that breakfast! I really need to think about getting a Silhouette Cameo! 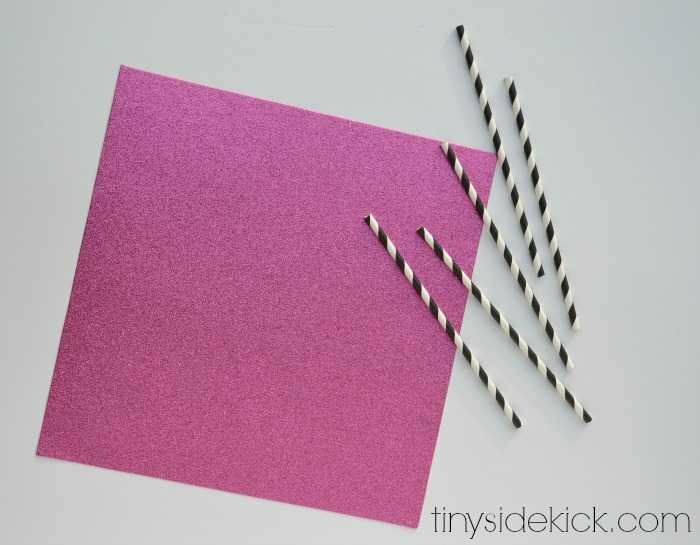 I love seeing all the cute crafts like these cute straws you made. Love them!